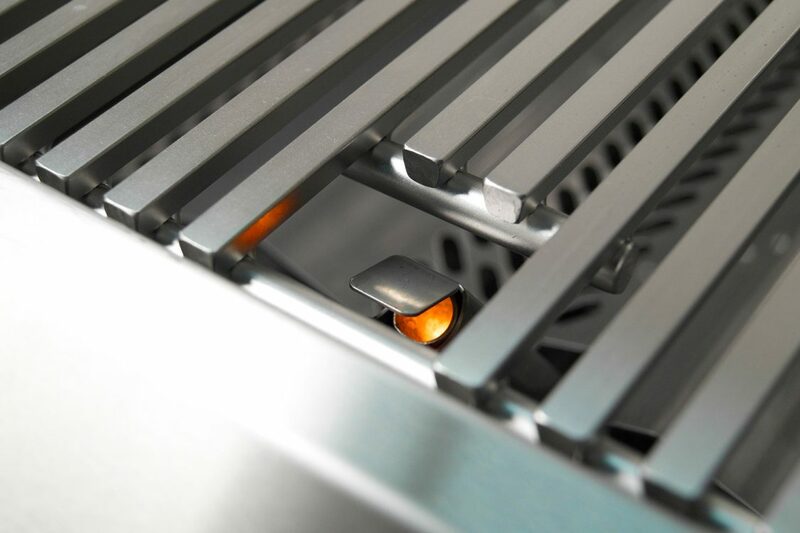 Fire Magic grills are a fusion of performance, beauty and innovation. Crafted in America, Fire Magic is the name trusted by grilling enthusiasts for 80 years and for good reason. Engineered to perform at the highest temperature for the longest time of any outdoor barbecue, the advanced heat distribution system, searing options, smoking capability and charcoal grilling features offer unmatched performance in the market. What makes them so special? Glance inside any Fire Magic and you’ll get a hint as to why they are happy to shout about their performance. 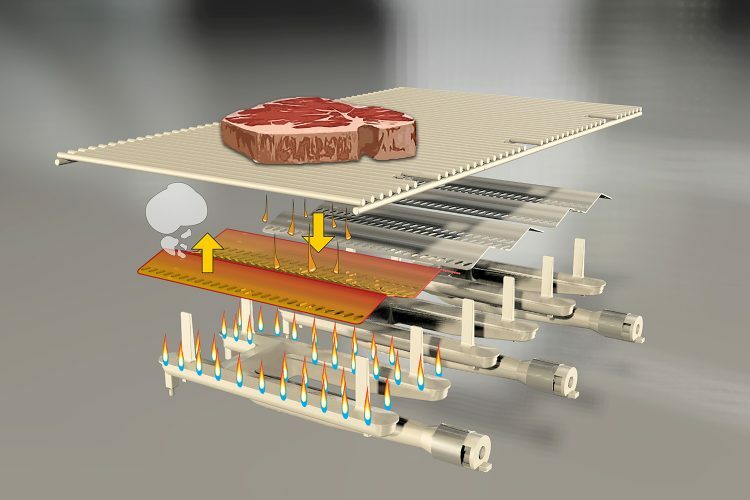 Starting on top, the diamond sear cooking grids are trapezoid in shape, promoting more optimal heat transfer to food. 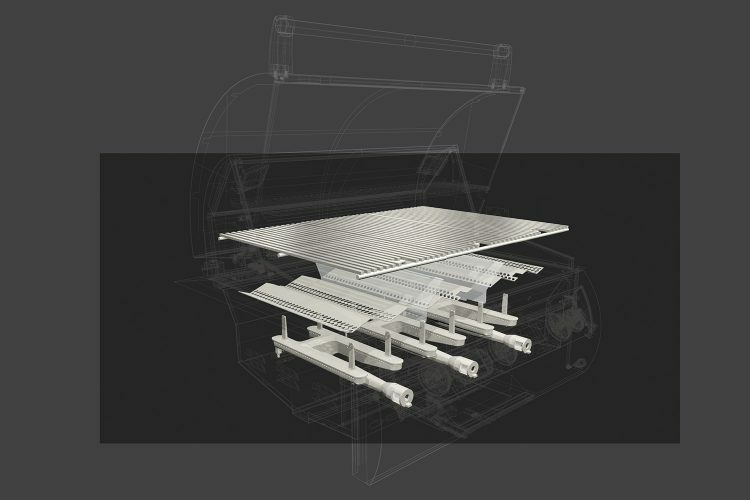 The angled sides improve the flow of heat to the cooking surface whilst this more efficient heat transfer produces a quicker cooking result and less use of gas. Flavour grids follow underneath, heavy gauge stainless steel minimizes flare ups and adds to the even heat distribution – they don’t retain or block heat from rising. Step below the vaporizer and you discover what makes the Echelon different, heat zone separators. This is a truly empowering moment as you realise you can cook on three different temperatures simultaneously within the same barbecue in controlled heat zones, and also provide better indirect cooking. 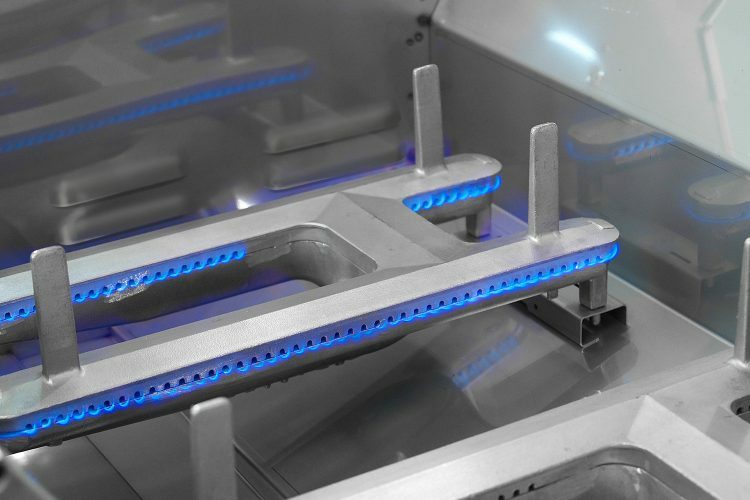 If that wasn’t enough your journey continues to the cast stainless steel burners – with the ports evenly spaced on each burner and an internal baffling system to balance flame and heat. As with everything in Fire Magic, even the interior of the burner has been thought out to the greatest degree. Finally you reach the fire box, 31cm deep on a Fire Magic Echelon barbecue and a stand out difference between Fire Magic and a lower performance BBQ on the market. This deep fire box offers ample space for convection and indirect cooking which provides the precision performance a Fire Magic customer expects. And if all that wasn’t enough, the Fire Magic Echelon bulges with performance control – from the quantum backburner made of stainless steel foam for efficient high heat rotisserie cooking to the back-lit touch sensitive knobs that allow for precise adjustment of your burners. For good reason, Fire Magic can be proud of the precision performance produced by their BBQs.